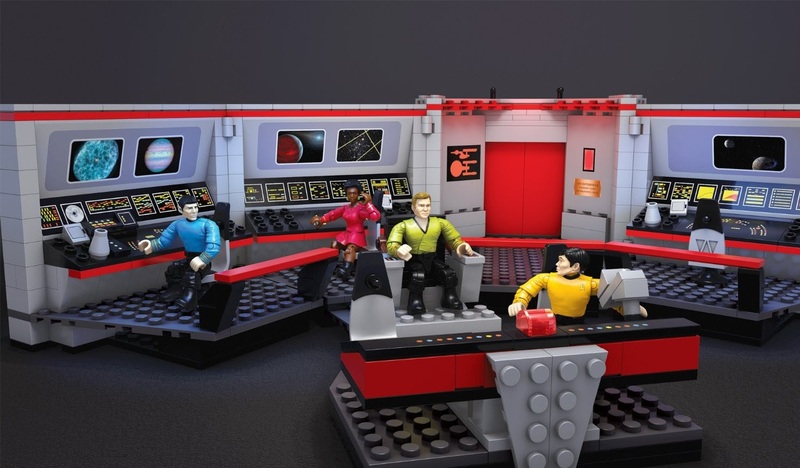 This year Mega Bloks are returning to the world of Star Trek with a range of construction toys including TOS ships and playsets, and figurines in their Kubros range based on TOS and TNG characters. While these weren't expected to arrive until late in the year, several sets have already found their ways to retailers. 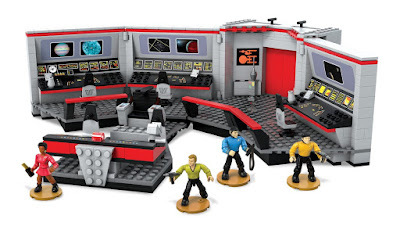 The latest of those, now available on Amazon, is the largest playset in the initial wave of releases, the very impressive USS Enterprise bridge set. 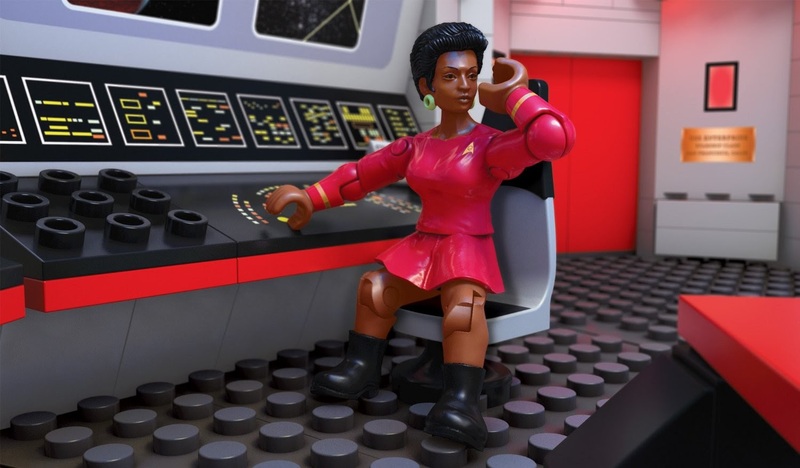 This set comes with figurines of Captain Kirk, Spock, Uhura, and Sulu, plus, a surprise revealed in the new images below, also included is Nomad, making this set specific to the episode The Changeling (watch out Uhura!). Continue below for a closer look. Other sets already available at the Klingon D7 model, and transporter room playset, and the Kubros Spock figure. 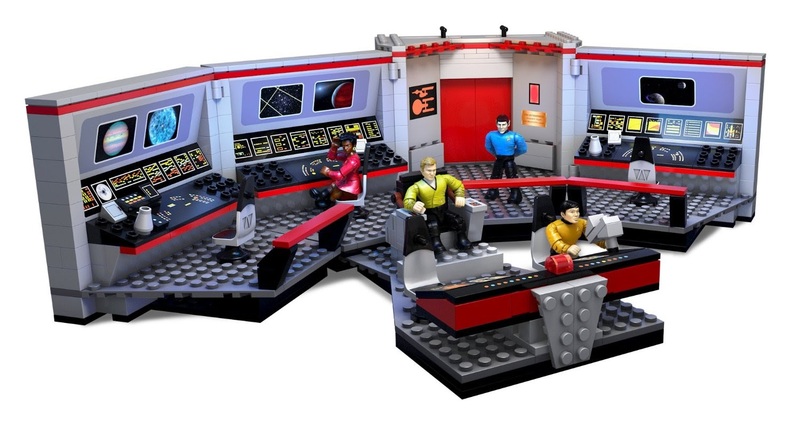 You can see images of all those in previous reports here, and here, and can find a full listing of all the Mega Bloks Star Trek sets on Trek Collective Lists. 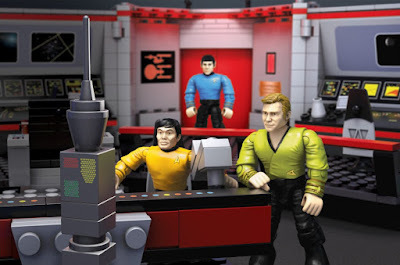 Also, for a little behind the scenes on the line, Mega Bloks recently posted an introduction to their Star Trek set designers on their website. 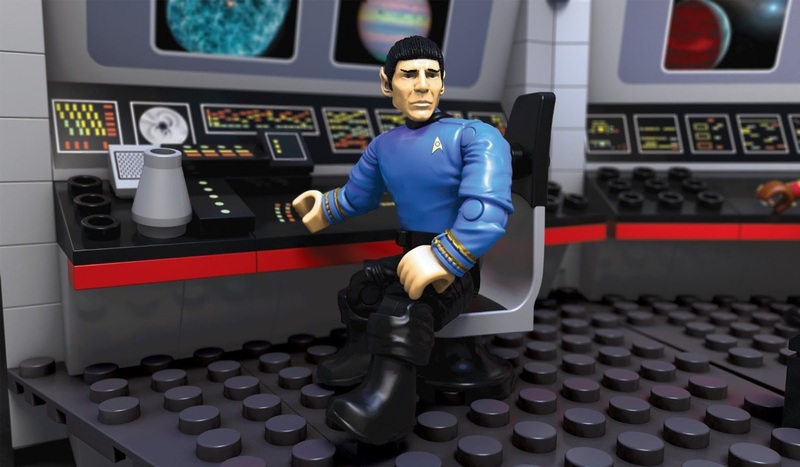 Any idea on UK availability? 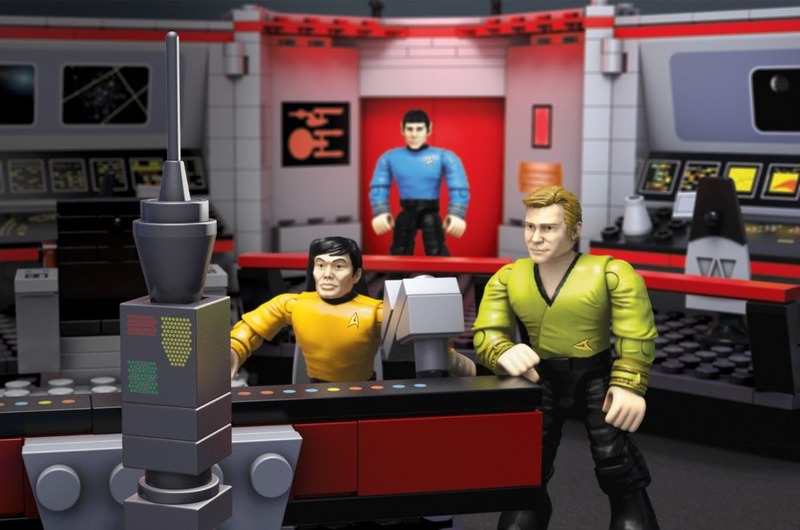 Thanks for the Mega Bloks list, it's very easy to keep track of them that way. 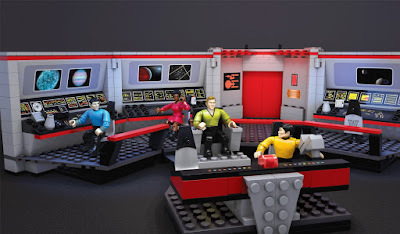 Any chance you could create a complete list for Star Trek Kre-o sets and Kreon minifigures, now that they are completed? 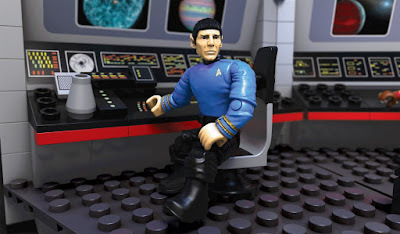 Patrick: Mega Bloks in general are widely distributed in the UK, but I'm not sure about Star Trek in particular (I'm keeping an eye out as I'd like to get some of these myself! ).